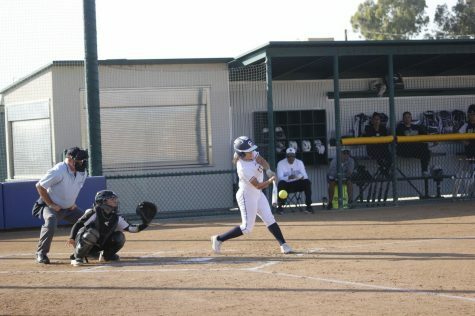 The Cerritos College softball team defeated the Santa Ana College Dons 5-1 to hand the Dons their first loss after they started the season 5-0. The game was rescheduled from its original date Jan. 31 to Jan. 30 because of rain predication on Thursday. Due to the lack of rain in Southern California, the coaching staff couldn’t recall the last time that a game was rescheduled due to rain. The Falcons were coming off a blowout win 17- 0 against Glendale after losing their season opener to Palomar 9-0. After a dismal season last year where they went 20-21, the coaching staff are very optimistic with new additions to the team and the development of the freshman’s from last year. Murray’s daughter Kodee Murray has been the head coach for 17 years and both father and Daughter coaching duo have coached the team together for that span. “Our strength is with our defense and pitching” Kodee claimed. “Our girls have been playing together the last two games,” she continued. The Falcons got on the board in the bottom of the first inning after no. 45 Haley Davis opened the inning with a double to left and two batters later with the bases loaded, No. 27 Keira Bolinas homered on a one out 1-1 pitch to the right field fence to give the Falcons a 4-0 lead. Santa Ana Don’s threatened in the top of the fourth by loading the bases. 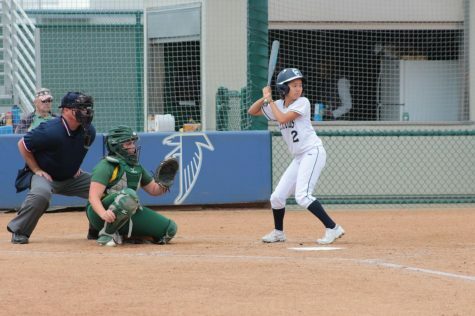 However they were only able to get one run after a 2-3 double play by first baseman Keira Bolinas. 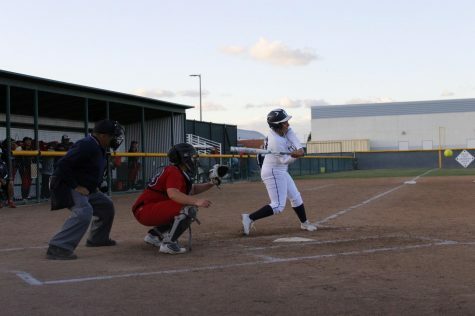 I interviewed Sophomore 1st Baseman Keira Bolinas the player of the game and asked her about the grand slam. ” As soon as I hit it , I knew that it was going to either go out of the park or a very long fly ball”, she said. ” Our chemistry has really been amazing the last two games”, she continued. I asked Bolinas if she had worked on anything during the off season to improve her hitting. Bolinas stated that she had been in the weight room a lot and had improved her strength. Skyler Swearingen no. 2 pitched the first four innings only allowing one run on six hits and got out of a bases loaded jam in second inning and also encountered runners aboard in the fourth. 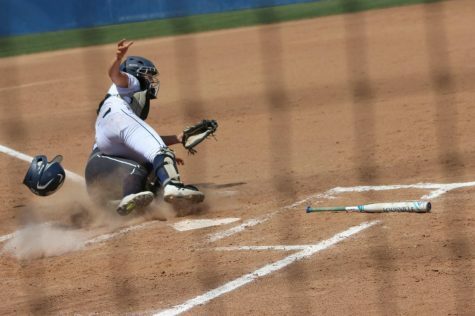 She was eventually pulled out before the fifth inning and replaced by Sophomore Sierra Gerdts who tossed the last three innings to earn the win. She only allowed two hits and was able to retire the last five hitters to gain her second win of the season. Pitching Coach Jennifer Winger said ” It was a huge win for us” . ” To beat a undefeated team like The Dons will be a huge booster to our confidence moving forward”, she continued. According to Coach Winger , the lead off double in the first inning was huge. She emphasized that the team just need to take it play by play and inning by inning moving forward and they should be fine. Cerritos College will be at Santiago Canyon on Friday for their fourth game of the season if there is no rain.